In today’s business world you need a predictable continuous business flow to be successful. Unfortunately there are forces beyond your control that can disrupt your business operations. Twenty Five Percent(25%) of all businesses beset by disaster are forced to shut their doors for good. How you plan for these disruptions will determine the impact they have on your business. Bayside consultants will help you develop a plan, a reliable backup and recovery procedure, for how best to deal with these disruptions in a way that limits the impacts they have on your business operations to be prepared and secure. Today’s Business world requires us to be “connected” to our business data at all times. Any IT shop can setup Remote connectivity with today’s technology, but often the Security of their Remote solution is not adequate and the Architecture is not efficient. With over 10 years of managing Remote Offices and Users, Bayside realizes the importance of Security and Efficiency for a Remote Connectivity solution. We have the skills and experience to provide a customized, “Simple to use” Mobile Office Solution for any Small to Medium sized business leveraging existing software and hardware. Having built and supported many larger corporate infrastructures, Bayside's consultants can evaluate your current network and suggest technology that will enhance your business processes and improve efficiencies. Because technology is advancing so quickly, to be competitive in your marketplace it is essential that you take advantage of these changes. Bayside will leverage the most current networking products to simplify your business operations and improve the exchange of data within your business. 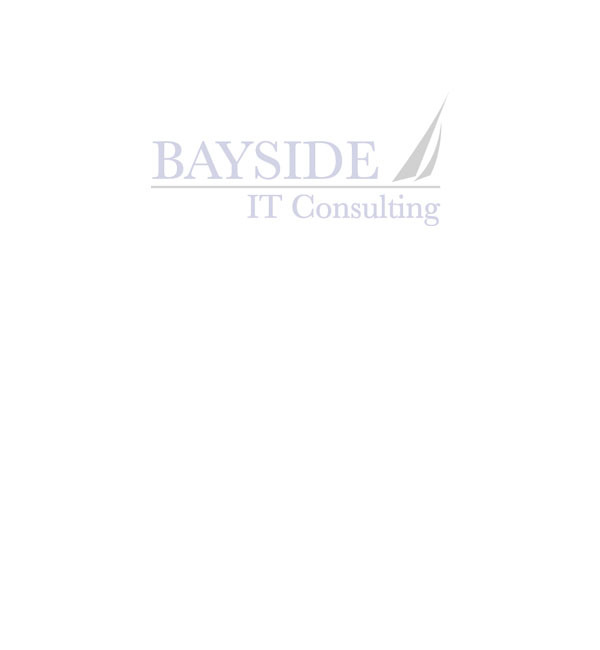 Bayside is a Dell Certified Solution Provider and does all assessments in Central Florida to determine the needs of local companies on a day to day basis. Allow Bayside to design and build a new network or simply improve your existing IT environment. The final critical step in any implementation is training. Your business employees need to be trained to be self supportive. Our consultants will take the time to show your staff how to use, manage and if necessary update the technologies that run your business. If your company requires ongoing support, Bayside can put a support contract in place to ensure your IT needs are taken care of on a month to month basis for a fraction of the cost of an employee. Call Bayside today to begin taking advantage of technology.